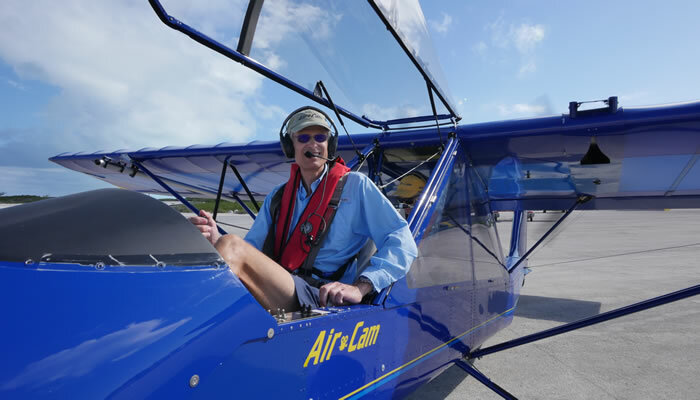 Lockwood Aircraft Corp produces the AirCam kit aircraft in Sebring, FL. All components included in the AirCam Kit have been carefully chosen and designed to provide optimum safety, performance, & reliability when assembled, installed & maintained properly. *For complete kit all is included except paint, instruments, shipping & crating. All prices subject to change without notice. The AirCam Airframe Kit is a quick-build kit composed of highly finished parts ready for assembly. 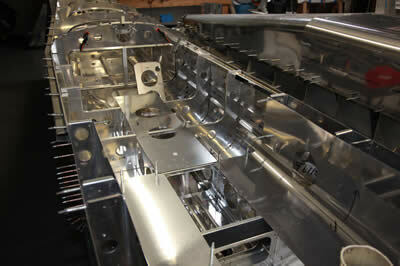 Most parts are alclad, anodized, powder coated or plated; this nearly eliminates corrosion concerns. 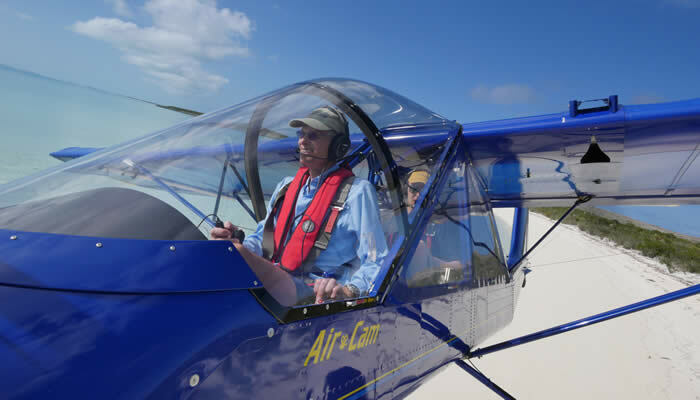 The kit includes pre-jigged and formed fuselage structures and controls, electric flaps, electric trim, a steerable/full castering tailwheel, state-of-the-art Beringer brake system, dual controls, pre-sewn wing fabric, ground adjustable seats, high quality composite fairings, all required hardware, and much more! Comprehensive, detailed construction and assembly manuals with excellent detailed drawings, part numbers and instructions are also included. Rotax Engine Packages include two four-cylinder, horizontally opposed aircraft engines with electric starters. Carbureted, fuel injected, and turbocharged engine models are available (see our Specs page for more information). Each package includes a custom pre-fabricated stainless steel exhaust system tuned for maximum performance and quiet operation, tank-to-engine fuel systems and required fittings and hardware, oil systems, and cooling systems. All packages also include a dual electrical system kit with two regulator/rectifiers, switches, breakers, wiring and the appropriate sealed maintenance free battery, and factory welded 4130 steel engine mounts specifically designed and tested for Rotax 9-series engines. Our Pre-Riveted Fuselage Option significantly reduces the time required to construct the kit, and still meets the FAA 51% or major portion rule. This option includes a fuselage assembled and riveted to factory specifications (including installation of controls, brakes wheels/tires, landing gear, and seats). The fuselage is coated with a chromate corrosion inhibitor, and is ready to be prepared for primer and paint. The Full Enclosure makes flying your AirCam a year-round possibility. This addition offers the same unmatched visibility as its un-enclosed counterpart, and is completely removable. A favorite among pilots in colder climates, the full enclosure can be retrofitted to existing airframes with few cosmetic modifications. It’s great for use in colder months, and removed within fifteen minutes! Planning a long cross-country trip? Install the enclosure before heading out, and take it off at your destination for endless open-cockpit adventure once you arrive. 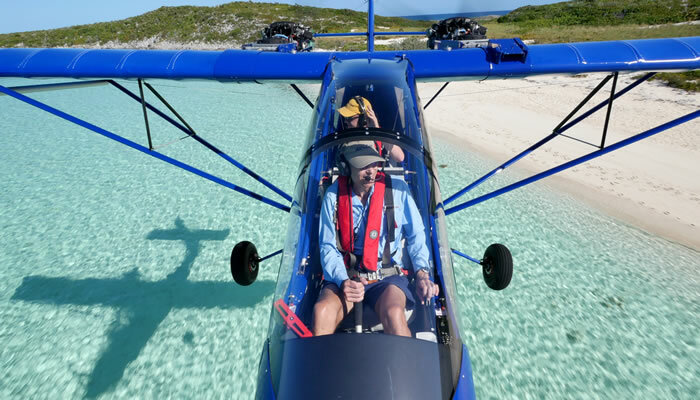 The full enclosure was designed, engineered, and extensively tested to ensure its overall safety and positive aerodynamic characteristics in flight, all while maintaining the functionality and versatility for which the AirCam is so well known.